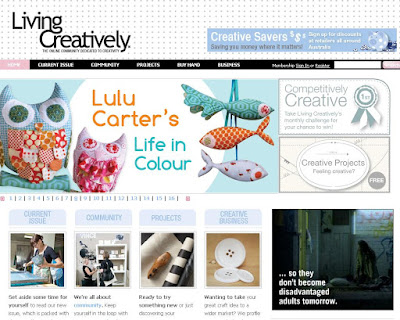 Mushy2008-2014: Oh me oh my, I'm a winner! 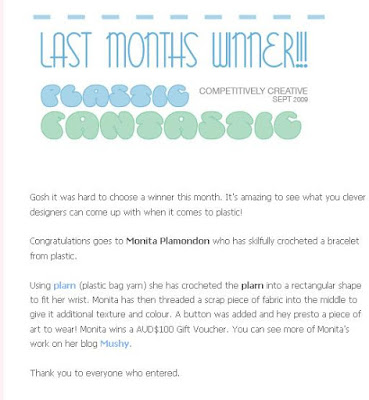 So last month I entered my plastic bracelet for a plastic fantastic contest over at Living Creatively. And I won!!! Yay! Yay!! Yay!!! Congratulations!! You must be so happy and proud of yourself. Way to go! CONGRAT SIS!! IM SOO HAPPY FOR YOU!! AND PROUD!! THATS AWESOME! GOOD JOB!! This is so awesome!!!! You rock girl! YAY you!!! Totally deserved! I'm so glad i stopped by, it's been a while, i so love checking out your work, your inspirations and even your words... icky poo poo!! HAHA!! Hope things are great!